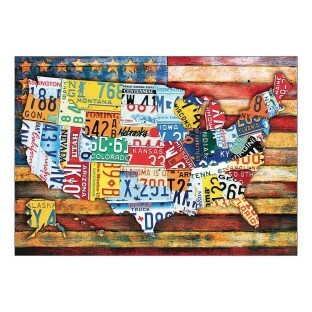 Take a trip across the USA! 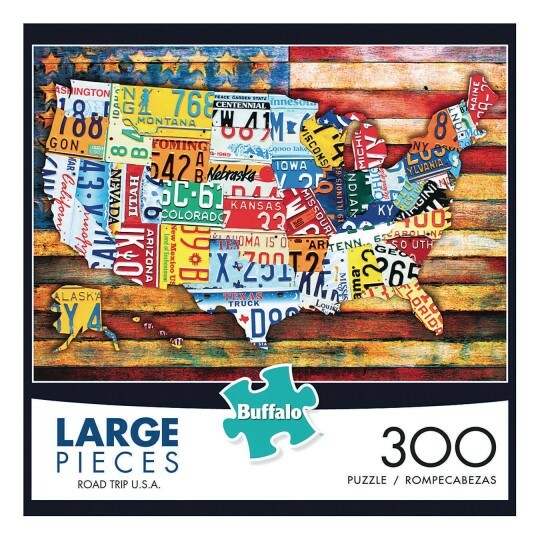 This 300-piece high-quality jigsaw puzzle is made of pieces that are 67% larger than traditional puzzle pieces, which makes them much easier to see and hold. Manufactured in the USA from recycled puzzle board using a precision cutting technique that guarantees every piece will fit perfectly with Perfect Snap™. A bonus puzzle poster is also included so that you have a handy reference of what the completed puzzle should look like. Finished size measures 21-1/4” x 15”.